I am sort of all over the place today. My hubby is off on a business trip again. He is gone 2 weeks of every month. Lately he has chosen to take them back-to-back so he has more of a steady time at home. The house felt sort of empty this morning. Getting old is weird. Hormones are all over the place. Squirrel. My hair is gray. 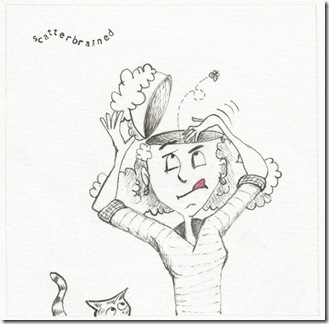 I am trying new products to tame the frizzes. I tried the method where you wash just with conditioner. Not pretty. Tried for a week and could not stand it. Discovered my hair needs keratin. Who knew? Conditioning today. We got 18″ of snow the past 3 days. We are using either our wood stove or floor heating and it makes the air so dry. And my hair flies all over the place. Lovely when you add wool scarves and sweaters. Not. See? All over the place. I just reconnected with a friend from High School. She and I were so close, for so long. I am not sure why we stopped being in touch. Perhaps me getting married and having kids and she was seriously in school and having a career…and we moved away from one another, too. But it is so good to get connected via Facebook, and to relaunch our relationship. I was so excited!! It gave me a spring in my step today. So I blow dried my hair and it is still so fly-away-ish. Had to re-apply the leave-in conditioner. We will see how this formulation works for me. Gray hair is so picky. My hubby and I have been dealing with issues regarding our parish and the practicing of the faith we have come to love (and were so well instructed in, by an amazing priest and many friends – priests and monks among them). And it has caused a little friction. Nothing like damaging to our relationship, but in our 34 years together, our faith journey has always been a joint one. Perhaps friction is not the right term. It’s more like there was a pea in our mattress and we just were not comfortable. We always walked together in faith. Our journey has amused many, and confused even more! And over the past 6 months or so, we have sorted of marched to a different drummer. And that is never good. I was always cautioned to not marry outside of my faith practices because people who are “un-equally yoked” do not work out. And I experienced it once, in a long term relationship. I was even engaged to him. He was Jewish. (Reform, not Orthodox, or it probably would never have happened in the first place). But eventually, especially after having developed such an amazing relationship with his rabbi and knowing I was firmly a Christian woman, his cultural adherence to many Jewish traditions, and me not fitting in well with his family, caused me to call things off. He was a great person and I did not wish him ill. I just realized we could never work. His rabbi and I remained friends, up until his death, often meeting for coffee and chats, long after my relationship had waned. I knew I needed a good, strong, Christian man in my life and was wise enough to call the wedding off. And when I met my husband, he lit up my life. And the more I got to know him, the more I wanted his faith. I wanted that relationship he had with God. I used to watch him pray, and while kneeling next to him, prayed that I could be like that. He has been good for me. I often tell him that he saved me from my worst self. He dragged me into a more pious life and I loved it. Over the past 6 or more months, that has waned. And I admitted to him that I miss it. At this same time, my husband realized our relationship with our faith practices needed to change. We spoke and realized we felt the same way about things. About some pretty important things. Whew. A good talk is sometimes all you need to realign your northern star – in my case, that is my piety and sense of faith permeating everything; my relationship to Christ and His Church. I have taught my kids that it is better to be that lone person, standing for what is right, rather than going with the majority. I believe that to be so in pretty much everything. You can apply it to your chosen career – be the best you can be at whatever it is you do, even if you are not a part of the crowd. In politics, for me, I rarely follow what the majority is calling for. I am conservative – socially, financially, spiritually, and pro life. Period. It permeates even the voting booth. In my faith, I prefer historically connected, profound, and deeply rooted worship. Throw in beeswax candles and icons, and I am there! I was raised next door to Russians, whose parents immigrated from Russia. They had such an interesting spin on life. From the father of the family, I learned to fence, using rapiers from the Royal Court in Russia. I learned to drink Russian tea made in a Samovar. And I learned about Russian tales and foods, traditions and history. I fell in love with Russia, reading everything I could find on it. The old, the traditional, the historically connected has always grabbed me. As an adult, I found myself learning all about my faith at a secular university, funnily enough. I converted to Catholicism as an adult. Coincidentally, about this time, I met my husband. (When I was dating my Jewish boyfriend, I was Geneva Presbyterian – until I converted to Catholicism at age 27). Over our 32 years of marriage, as we have journeyed through a very “orthodox” Catholic life, we discovered the Eastern Catholic Church. It was then that I truly began to breathe with both lungs. I was hooked. 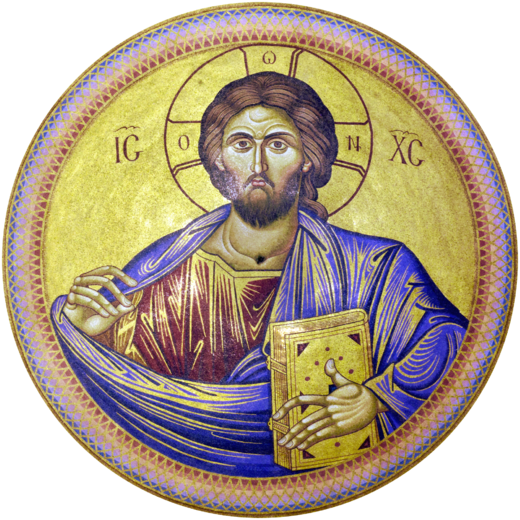 We moved over to the Melkite Greek Catholic Church, which is culturally Arabic, but Byzantine/Greek in worship style. My husband became a Deacon, after attending the Melkite seminary. We made life-long friends we dearly miss, during this time period. I literally fell in love with Church. I was there 2-4 days every week. I helped with our homeless kitchen and soon found myself transporting donated food weekly in my suburban, dragging my homeschooled kids with me. I loved working in the kitchen with all the Arab ladies. We had so much fun. And they taught me Arabic traditions, histories, foods, clothing styles, and how they raised their kids and the many faith traditions they held precious. When we moved to Alaska, we discovered there was no Melkite Church up here. We have been adapting. Our youngest son found a youth group he loves, at the local Roman Catholic parish. We support him in attending their “young men’s bible studies” and trips, and youth group every week. (He is well-known in the local parish and usually brings up the gifts on Sundays at Mass. He’s quite the popular teenager. We joke that he knows more people in Alaska than any of the rest of us does). We attend there as a family and it has been good. 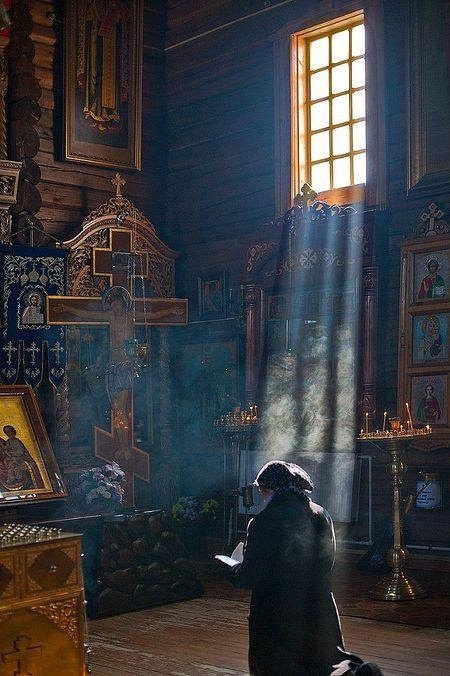 It is not our beloved Eastern tradition, but it is Church. We’ve adapted to this culture up here. (It’s cold and white everywhere these days, because we have so much snow!!) We have become sort of bland. Ha-Ha! And I got pulled away from the practice of what I love, into a rather generic sort of Christian expression. Even in these posts, I was more inclusive, even of the photos I would use to illustrate my posts. I have stopped explaining about my faith practices, letting people just assume I am a generic “Christian” woman. Which I am, but I realized that I have been compromising myself. It is not all of who I truly am. I cannot please the public; I cannot continue to “pose” as something I am not. And I was caving into the pressures I had warned my kids about all these years. I was not being true to who I really am. I am an Eastern-rite Catholic woman. I love the smell of incense. 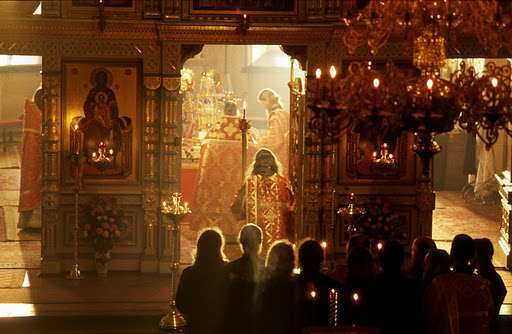 I love the Divine Liturgy. I love chant. Not Gregorian, but old world, eastern chant. I love icons. I love being in a church where you can scent the incense from a previous Liturgy, and light the beeswax candles and be transported to a holier place; a place of oneness with God. It eases my soul. And even if I am “all over the place” and a tad bit scatterbrained today, I am also more at ease because I have realized these things about myself. And it comforts me. I realize that many of you do not worship this way, nor understand why people would. Our democratic ideals have permeated our styles of worship, and that is okay, if it sits well with you. I have always been a history-oriented person. I majored in Anthropology and minored in Biblical Archeology. History – church – faith. It has alway been a part of who I am. When I walked the parapets of a castle in Wales as a 16-year-old, I felt those walls speak to me. I would run my hands down them, marveling at how ancient they were and how connected to that antiquity I felt. I was walking the lands of my ancestors and I felt truly at home and very welcome, in among all the artifacts and tapestries, old walls and artwork. Walking through Churches and Cathedrals while we visited England, I constantly had a backache because I spent the entire time bent over, looking at all the engravings on the stones. I took so many rubbings. I felt rooted. I could really breathe at some of these places. It is the same for me in the way I choose to worship. 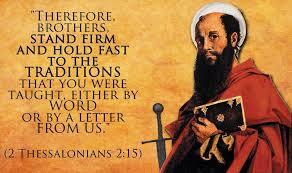 I love tradition and the fact that I can historically trace my Church back to the Apostles. We have songs that are so old, there is no written record of them, just references to them by the Church Fathers, talking about how old they were back in the Apostolic days. Those of us who are Melkite like to tease our Roman/Latin Rite friends that we had St. Peter before they did, because he established the Church in the east before he meandered his way to Rome (wink-wink). And so I have decided that I am not going to hide who I am any longer. I am not going to water things down. I am not going to represent an American Jesus for the palpability of my newer friends. (And those in my business world). I believe in Jesus Christ and I do that in communion with them. However, I also believe in the traditions that brought Protestantism its lifeblood. We had the traditions long before they were put into a book – the Bible – the same one we all read, before all those pesky books were removed out of it. And we were an oral people – sharing our faith and our traditions with others through the practices passed on to us from the Apostles themselves. This is not a haughty or conceited viewpoint, nor is it meant to put people off. But it is the Church I choose to worship in; it is the tradition which gives my lungs breath. It is part of who I am. And so my friends, from here on out, I will be sharing honestly about who I am. I will share through an Eastern lens, through the faith I practice. I am ecumenical because I believe we all hold the same God in our hearts, but I won’t apologize or hide that I prefer icons and a Jesus prayer, Divine Liturgy and incense, the iconostasis and beeswax candles, confession in front of an Icon of Christ the Pantocrator, and cantors with no musical accompaniment, to pretty much all the rest of it. It just fits me and I will no longer apologize nor hide it from you. It is part of what makes me, me. And it is part of who I am when I communicate with all of you, on this blog. I hope you will continue to read, if you do. I am still who I am! It’s just me going back to the me I was a few years ago. May the Lord grant you many blessed years.